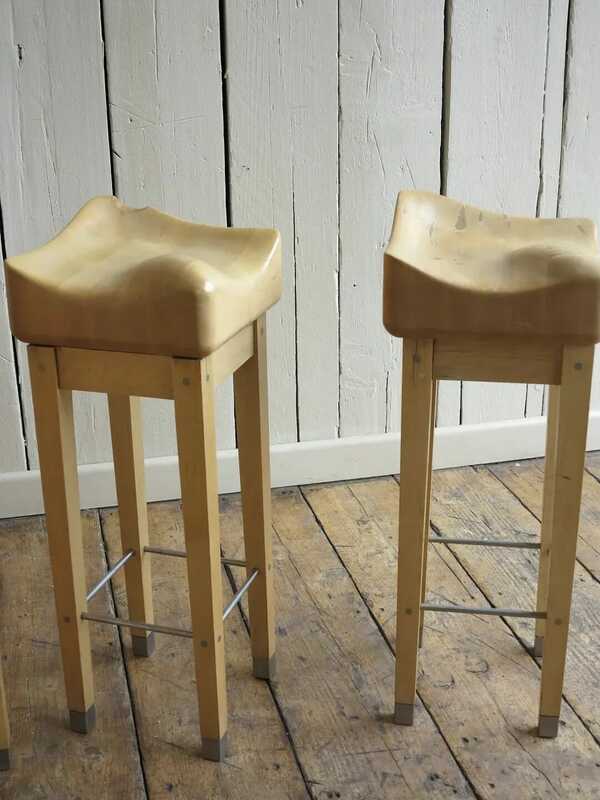 These stools are very solid and have a comfortable seat. 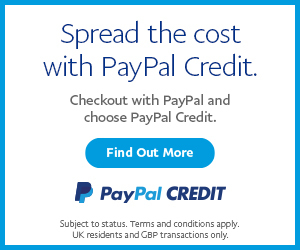 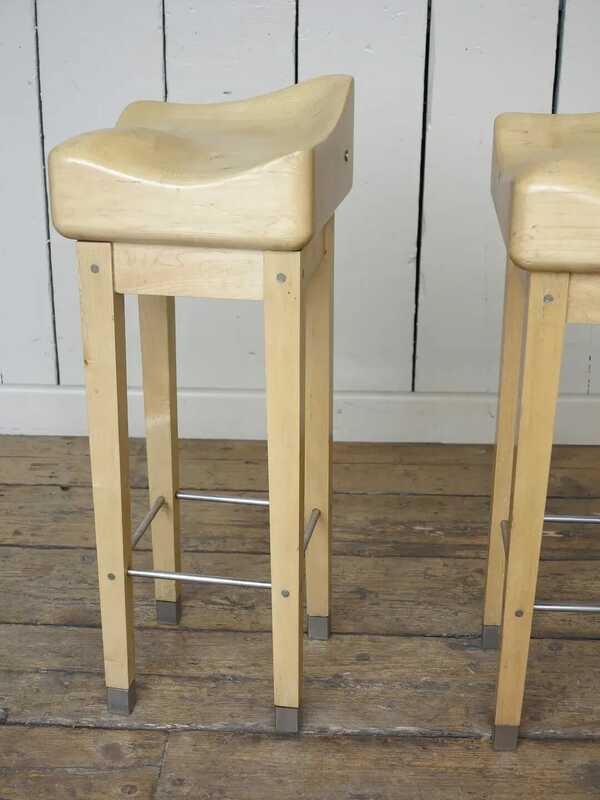 Very unusual and hard to find. 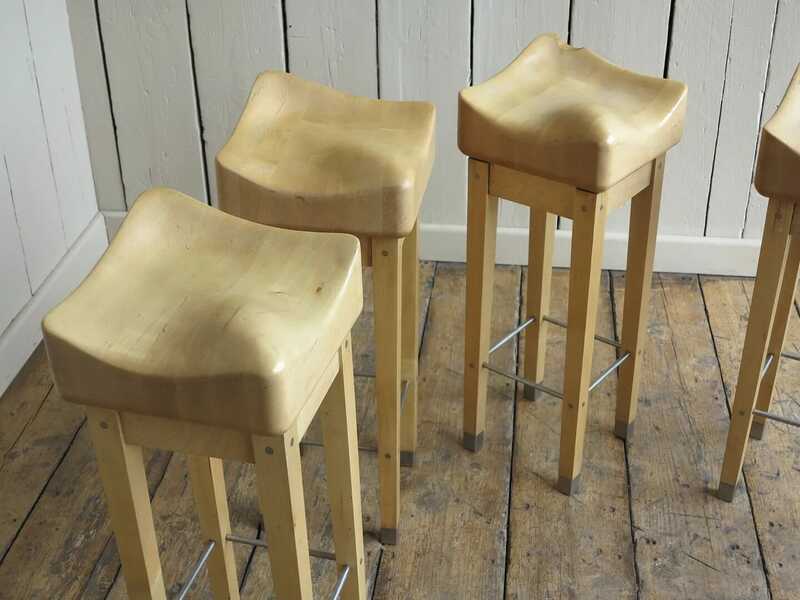 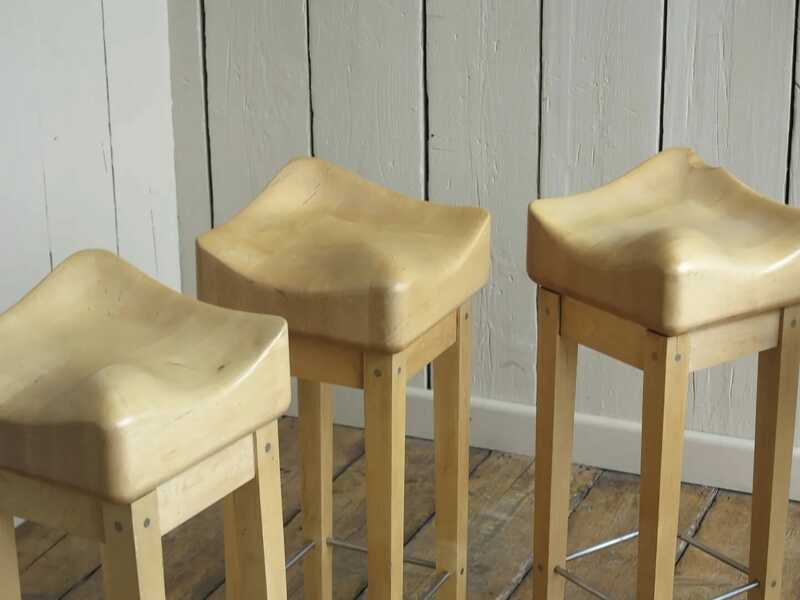 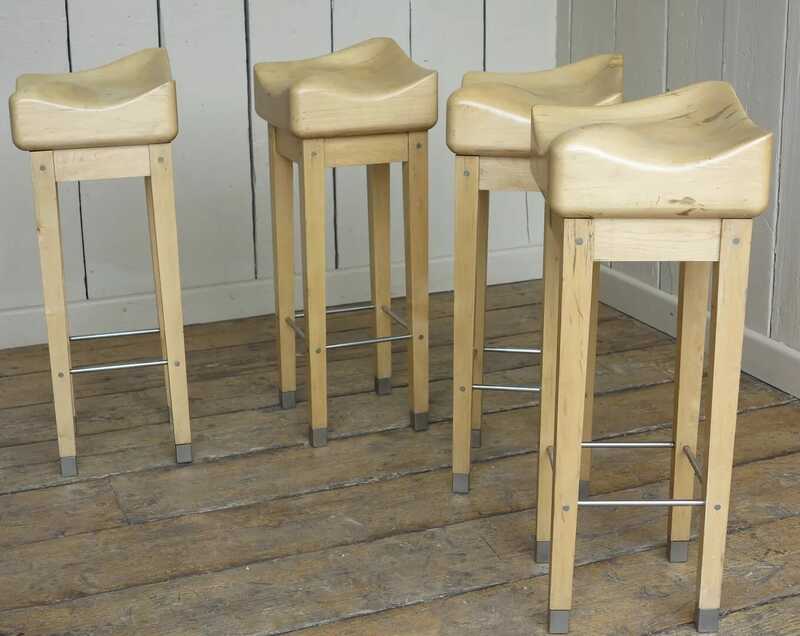 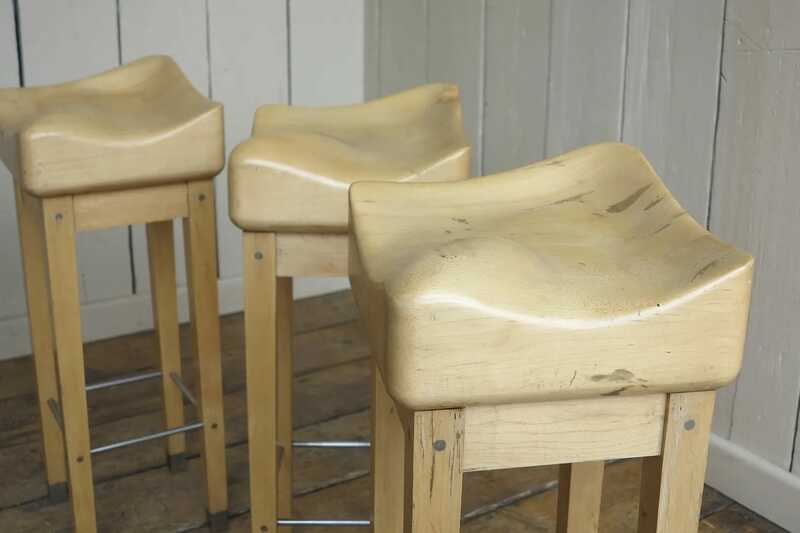 These stools are suitable for home or commercial use. 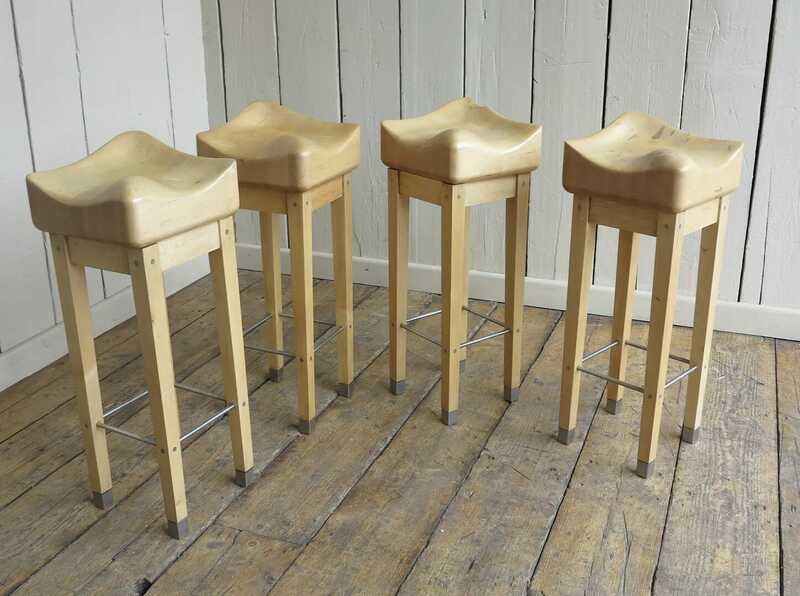 The stools measure: 30 ½" Tall x 11 ¾" Square Seat. 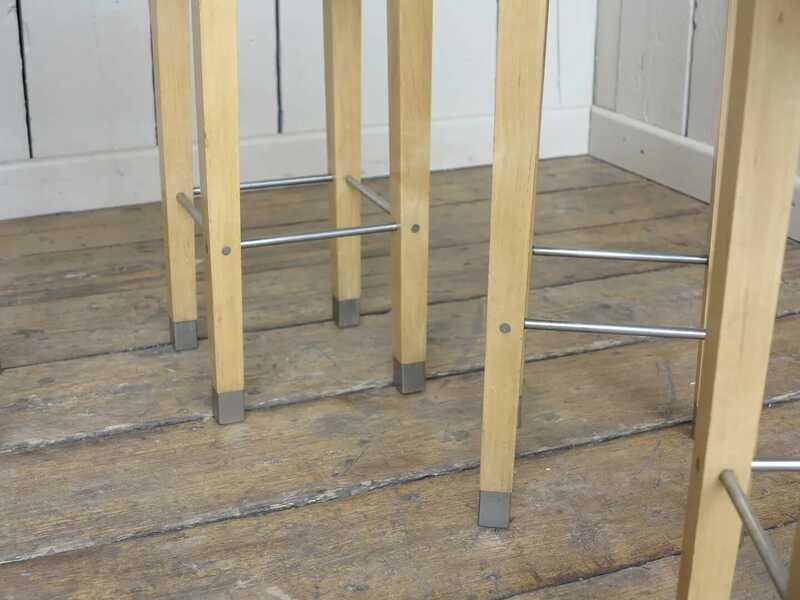 One of the seats has a small piece missing, however this adds to the character.